Find the connection between interests, careers, and college majors. Discover our destiny. Unlock our potential. Due to the latest EU VAT Regulations for Digital Products Jan 1 2015, we are not permitted to sell Digital Products to customers from EU countries. Sorry for the inconvenience. Sales are final! No refunds! Discover who you really are and understand your likes, dislikes, and interests. Identify our interests, abilities, and skills. 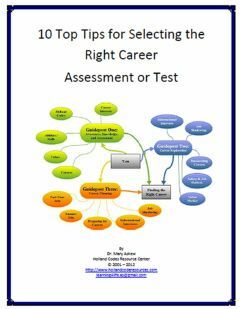 Use the 10 Top Tips for Selecting the Right Career Test steps to pinpoint your interests, abilities, skills, talents, and values. Follow the road map to career planning. Recognize your interests, abilities, talents and values. Learn your Holland personality types and codes. Get the quick career test facts! 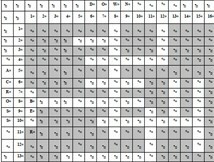 Use career test rating chart. Get detailed information from the catalog. Put all of the facts together. The Career Clusters Resources, the Guide for Occupational Exploration/ GOE Codes, and Holland Codes Connection is a career cluster resource guide that provides information about Career Clusters, Guide for Occupational Exploration/ GOE Codes, Holland Codes, career exploration, career jobs, career salary, career research, and career information. Holland Codes and Career Clusters Resource Posters Set shows the relationships between the Holland Codes and the Department of Education Career Clusters Structure. This Holland Code and Career Clusters resource is an excellent supplement to any career education, counseling, coaching, and exploration program. Use the posters in conjunction with any career cluster or Holland Code resource. Find Holland Codes for more than 200 green careers in these twelve sectors below. Find Holland Codes for more than 100 green careers in these twelve sectors below. The printed activity sheets can be administered to groups and individuals. For the activity sheets, you use paper-and-pencil. The estimated time to complete the activity sheets is 30 minutes, and activity sheets are self–scoring. Order the See Rainbow Careers iTunes App at the iTunes store. 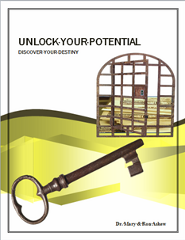 Unlock Your Potential Diary is a PDF download. Now is the time to pinpoint your interests, abilities, skills, talents, and values! Discover who you really are and KNOW your likes, dislikes, and interests. Find the right training programs matches your interests. 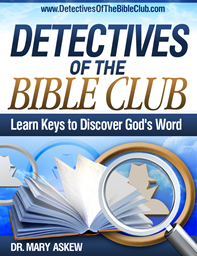 The Detectives of the Bible Club is a fun, interactive way to explore the Word of God. Good for Family Bible Studies! Where Is The Story Of David – The Chosen One? Where Is 1 Samuel 17? Where is the Story of a King is Born? Where is the Story of a New Leader? Where is the Story of Boy in the Temple? 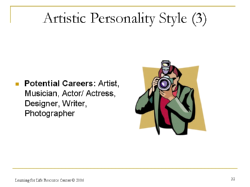 What are my vocational interests, abilities, skills, and talents? What are the steps that are necessary to develop the interests, abilities, skills, and talents that I possess? What are the career goal setting steps that I need to do? What career tests are available? 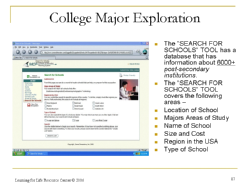 What college major information is available? DOL/ETA (U.S. Department of Labor, Employment and Training Administration) is the exclusive owner of all rights under U.S. copyright laws and international treaty provisions in the O*NET ™ Career Exploration Tools. Any other copyright notices refer only to Holland Code Resource Center's original work in the product. O*NET and O*NET IN IT and logos are trademarks of the DOL/ETA (U.S. Department of Labor, Employment and Training Administration). 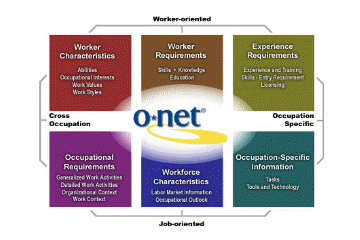 Use the O*NET Codes and Holland Codes FACT Sheets lists to compare the O*NET Codes to the careers listed in the Dictionary of Holland Occupational Codes. Save time and effort. Post-Baccalaureate Certificate - awarded for completion of an organized program of study; designed for people who have completed a Baccalaureate degree, but do not meet the requirements of academic degrees carrying the title of Master. Post-Master's Certificate - awarded for completion of an organized program of study; designed for people who have completed a Master's degree, but do not meet the requirements of academic degrees at the doctoral level. Cognitive Abilities — Abilities that influence the acquisition and application of knowledge in problem solvingnformation Ordering — The ability to arrange things or actions in a certain order or pattern according to a specific rule or set of rules (e.g., patterns of numbers, letters, words, pictures, mathematical operations). Physical Abilities — Abilities that influence strength, endurance, flexibility, balance and coordination. Knowledge — Organized sets of principles and facts applying in general domains. 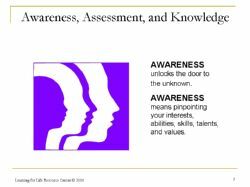 Basic skills, such as reading, facilitate the acquisition of new knowledge. Cross-functional skills, such as problem solving, extend across several domains of activities. Process — Procedures that contribute to the more rapid acquisition of knowledge and skill across a variety of domains. Complex Problem Solving Skills — Developed capacities used to solve novel, ill-defined problems in complex, real-world settings. Technical Skills — Developed capacities used to design, set-up, operate, and correct malfunctions involving application of machines or technological systems. Systems Skills — Developed capacities used to understand, monitor, and improve socio-technical systems. Resource Management Skills — Developed capacities used to allocate resources efficiently. The Unlock the Treasure Chest. You Have the Keys! Guide to Career Planning is a step-by-step guide to explore careers and college majors. 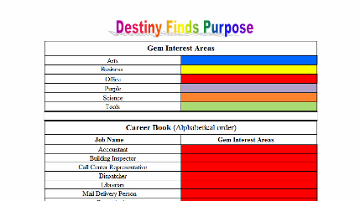 Use the guidebook to pinpoint your interests, abilities, skills, talents, and values. Parents, you have a motivational tool to guide your teen or young adults as they explore careers and college majors. Teachers, you have a classroom activities that is the resource for preparing career and college major exploration classes. The Unlock the Treasure Chest. 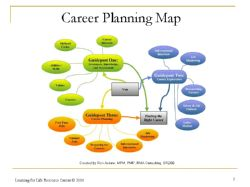 You Have the Keys Guide to Career Planning is used in conjunction with the My Career Profile. 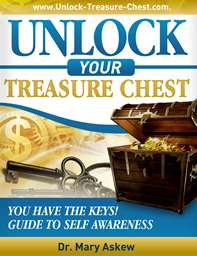 Dr. Frank Minor, CEO of Career Dimensions has endorsed the Unlock the Treasure Chest. You Have the Keys. Guide to Career Planning. ... our daughter did do the online exercise. She is a sophomore in high school and for the last couple of years has said she wants to be a dental hygienist. I have thought that something along the teaching line would better fit her gifts but haven't said anything - I want her to come to her own conclusions. After doing the tests several of the jobs it came up with for her were in the teaching field :) as well as creative fields and of course no dental hygiene at all. so she did a little research and found that she really doesn't fit the profile of someone who would enjoy dental hygiene, so she's starting to rethink her decision. This tool has been very helpful so far! The Visual Aids or Screenshots from the Unlock the Treasure Chest Guidebook are an additional bonus for teachers and counselors. These screenshots are excellent for group presentations. The screenshots present the concepts covered in the Guidebook. With each purchase, you will receive PDF and Powerpoint versions of the Visual Aids. The Unlock the Treasure Chest. You Have the Keys. Guide to Career Planning is a toolkit for teachers or counselors preparing students for graduation and transition into post-secondary training programs. 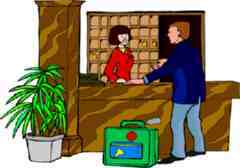 Read about career test sale.